To understand the basic concept of western blotting. To be familiar with the steps for performing a western blotting. To detect the presence of proteins and to learn the entire process of western blotting. 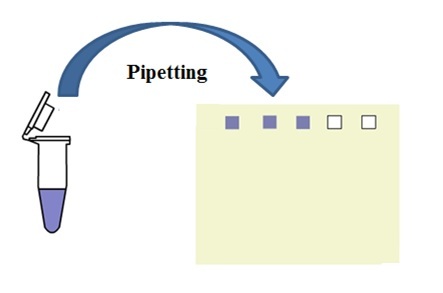 Western blotting is a widely used technique for the detection and analysis of proteins based on their ability to bind to specific antibodies.. It was ﬁrst described by Towbin, et.al in 1979 and has since become one of the most commonly used methods in life science research. Western blotting is a accomplished rapidly, using simple equipment and inexpensive reagents, it is commonly used laboratory technique. The specificity of the antibody- antigen interaction enables to a target protein to be identified in the midst of a complex protein mixture. It is an analytical method where in a protein sample is electrophoresis on an SDS- PAGE and electro transferred on to PVDF membrane or nitrocellulose membrane. The transferred protein is detected using specific primary and secondary enzyme labeled antibody. Antibodies bind to specific sequences of amino acids, known as the epitope. Because amino acid sequences are different from protein to protein, antibodies can recognize specific proteins among a group of many. Therefore, a single protein can be identified in a cell lysate that contains thousands of different proteins and its abundance quantified through western blot analysis. First, proteins are separated from each other based on their size. Second, antibodies are used to detect the protein of interest. Finally, a substrate that reacts with an enzyme is used to view the antibody/protein complex. Western blotting is the transfer of proteins from the SDS- PAGE gel to a solid supporting membrane. 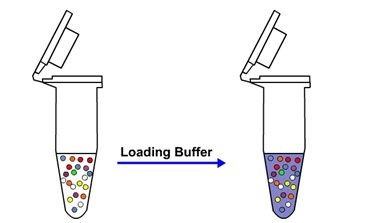 There are two types of blotting apparatus used to transfer proteins to solid supports; these facilitate either wet transfer (tank blotting) or semidry transfer. Both of them give good result. 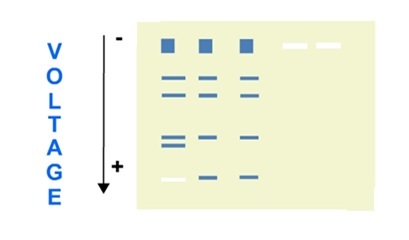 Electrophoresis is used to separate complex mixtures of proteins denaturing discontinuous one dimensional gel electrophoresis separates proteins only based on molecular size as they move through a SDS- polyacrylamide gel(SDS PAGE) toward the anode with the smaller protein migrating faster and bigger proteins running slower. The SDS-PAGE is a separating gel topped by stacking gel and secured in an electrophoresis apparatus. Sample proteins are solublized by boiling in the presence of SDS and equal amount of the protein in solution are loaded into a gel lane, and the individual proteins separated electrophoretically. 2-mercaptoethanol and dithiothreitol are added to reduce disulfide bonds. A protein sample is subjected to polyacrylamide gel electrophoresis. After this the gel is placed over a sheet of nitrocellulose and the protein in the gel is electrophoretically transfered to the nitrocellulose. The nitrocellulose is then soaked in blocking buffer (3% skimmed milk solution) to "block" the non-specific binding of proteins. The nitrocellulose is then incubated with the specific antibody for the protein of interest. The nitrocellulose is then incubated with a second antibody, which is specific for the first antibody. For example, if the first antibody was raised in mouse, the second antibody might be termed "goat anti-mouse immunoglobulin". What this means is that mouse immunoglobulin were used to elicit an antibody response in goats. 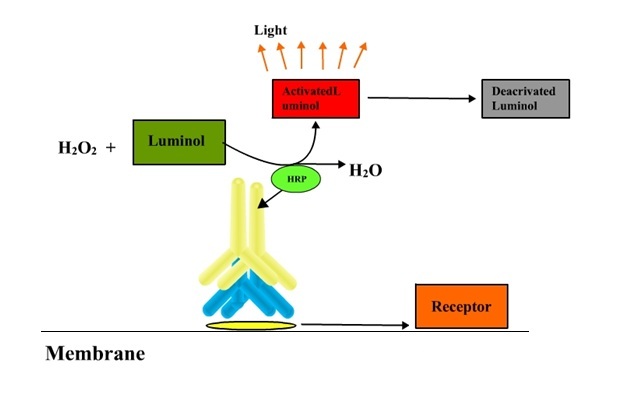 The second antibody will typically have a covalently attached enzyme which, when provided with a chromogenic substrate, will cause a color reaction. Thus the molecular weight and amount of the desired protein can be characterized from a complex mixture (e.g. crude cell extract) of other proteins by western blotting. First step in the sample prepration is isolating the protein from a sample. Usually proteins are purified from cells. Next the protein concentration is determined. Sample buffer commonly Leammli buffer, which contains Sodium dodecyl Sulpate (SDS) and beta- mercaptoethanol (BME) is added to the protein suspension. The sample buffer is the centrifuge and heated to near- boiling, which denatures the protein and allows the SDS to bind to the protein. SDS carries negative charge. Glycerol to make samples sink into wells and the Tris base provides appropriate pH. The blue dye to visualize samples as gel is run. Once the marker and samples are loaded, a current is run across the gel. With a negative pole on the well of the gel, a positive pole on the opposite end of the gel. Because the protein is bounded to negatively charged SDS, it is pulled down through the gel to the positive pole. The larger the protein, the slower it moves. Although the running the gel is the last step in the SDS- PAGE method, It is important to make note of several pieces of information. Proteins are separated by their size as they run through the gel. The lower the concentration of acrylamide in a gel, the easier it becomes for proteins to move through the gel , so all proteins move further under the same conditions. Gradient gels are where the concentration of acrylamide increases from the top to the bottom. After the gel is run, it is placed against a membrane , and current is passed across the gel to the membrane, transferring the proteins onto the membrane. The transferring method is also known as semi- dry method. The membrane is usually made of PVDF or nitrocellulose, both of which have advantages and disadvanatages that should be thoroughly researched prior to use. The first step in immunoblotting is to wash the membrane and block it with non-specific protein. The non- specific protein binds to the surface of the membrane where protein is not already present. This will prevent antibody from binding to the membrane and giving a non- specific signal. Next, the primary antibody is added to the solution in which the membrane is floating. Remember that the primary antibody recognizes a specific amino-acid sequence of a particular protein. After a wash is conducted to remove unbound primary antibody, secondary antibody is added. Secondary antibody recognizes the primary antibody, and usually is conjugated with an enzyme, such as HRP (Horse Radish Peroxidase). Lastly, another wash is performed to remove unbound secondary antibody. Non-specific binding of both the primary and secondary antibodies can occur, but thorough washing usually minimizes this problem. The amount of time the primary and secondary antibodies are applied, directly affects the specificity and strength of binding. The detection method used is dependent upon the enzyme to which the secondary antibody is conjugated. The most common enzyme used in Western Blotting is HRP, and the substrate used for detection is known as chemiluminescent substrate. Once the substrate has been added, the light being emitted can be detected with film or a photo imager. Notice that the film does not contain information on where the lit bands are located in relation to the membrane. Therefore, it is very important to use a method that allows the film to be aligned with the membrane in the exact same manner as when the film was exposed. The membrane is usually stained after the detection step, so that the protein present can be visualized, and compared to the film.